I am super excited to share this adorable look from Amelia Styles. 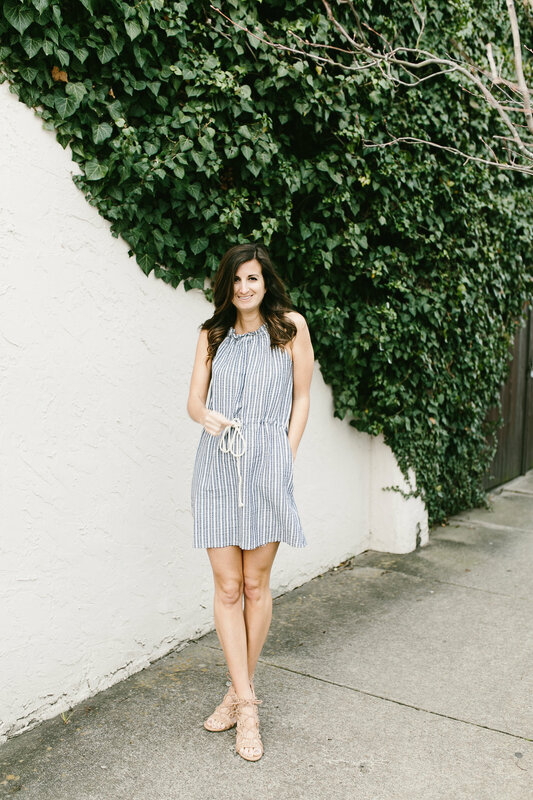 She is a fellow fashion blogger, who also runs her own clothing boutique in East Nashville. Amelia is an incredibly driven individual. She puts an amazing spin on the classic look that makes it a bit more fabulous than your everyday wear. And I am obsessed. When I shop Amelia Styles, I know I am getting great quality at a fair price. Be sure to browse her online store, and use the code FAITH15 for 15% off. When Amelia first started selling her clothing online, she never thought she would open an actual brick-and-mortar store. However, when the opportunity fell in her lap, she went for it. And sometimes just going for it is exactly what we need to do. It is easy to get caught up in the “what ifs” of a decision. And those “what ifs” can cause a lot of confusion and frustration, ultimately leading to not wanting to make a decision at all. With some decisions, it is important to weigh the pros and cons, pray about it, and then decide. But with others, we just have to trust what is in our hearts. If the moment feels right—if we feel like God is placing this choice on us for a reason—then we should just go for it. Sometimes taking a leap of faith is exactly what God is calling us to do. So, whatever decision is weighing on you, I hope you get to that “go for it” moment. I pray that God will bring you enough peace to know that your choice is also His choice and He is ready to guide you though each and every step.